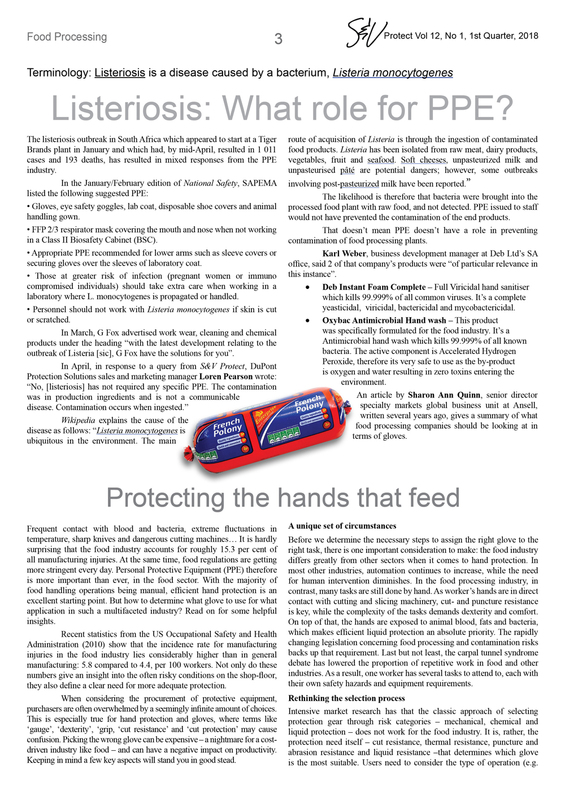 - Listeriosis: What role for PPE? 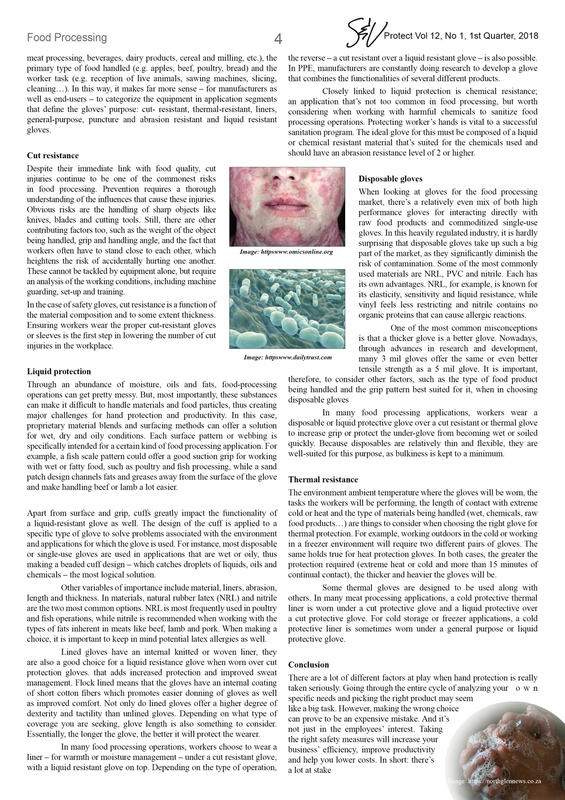 - Protecting the hands that feed, by Sharon Ann Quinn, Ansell. 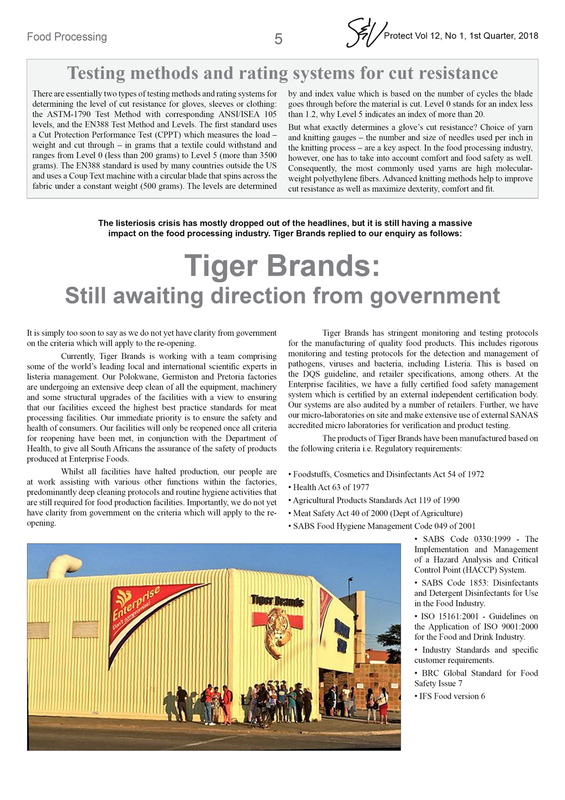 - Tiger Brands: Still awaiting direction from government. 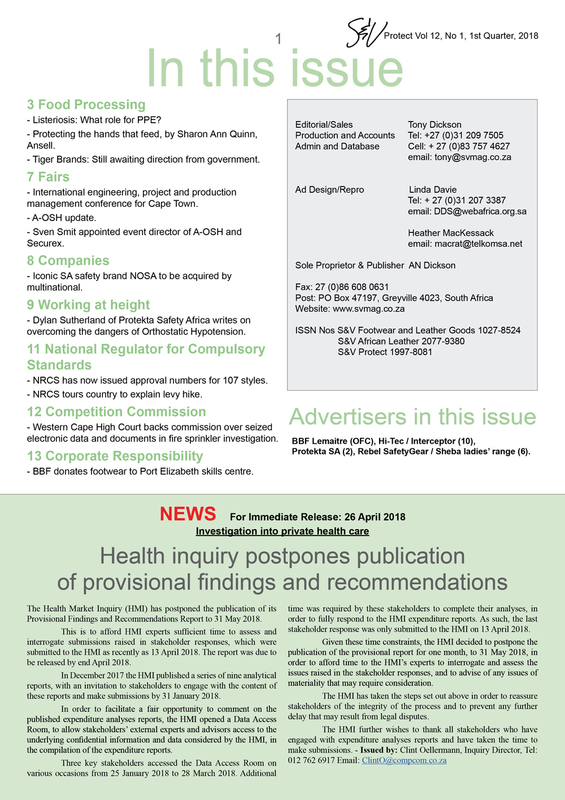 - International engineering, project and production management conference for Cape Town. 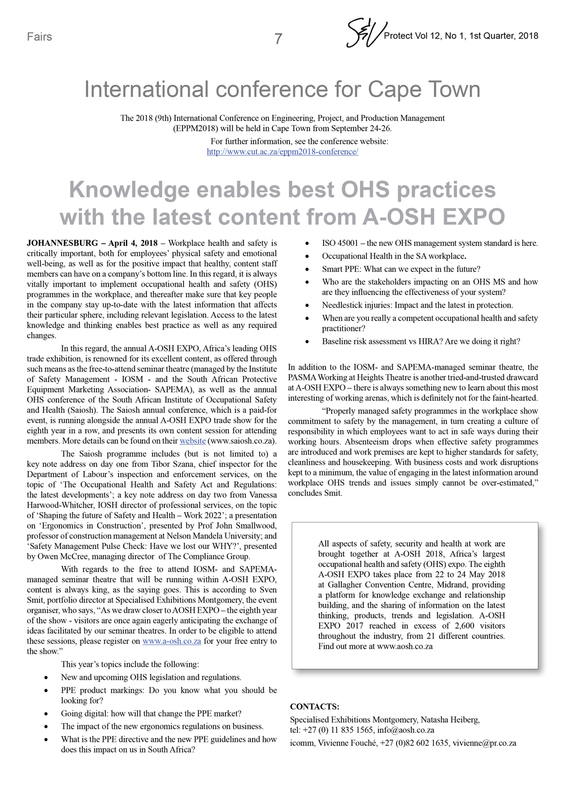 - Sven Smit appointed event director of A-OSH and Securex. 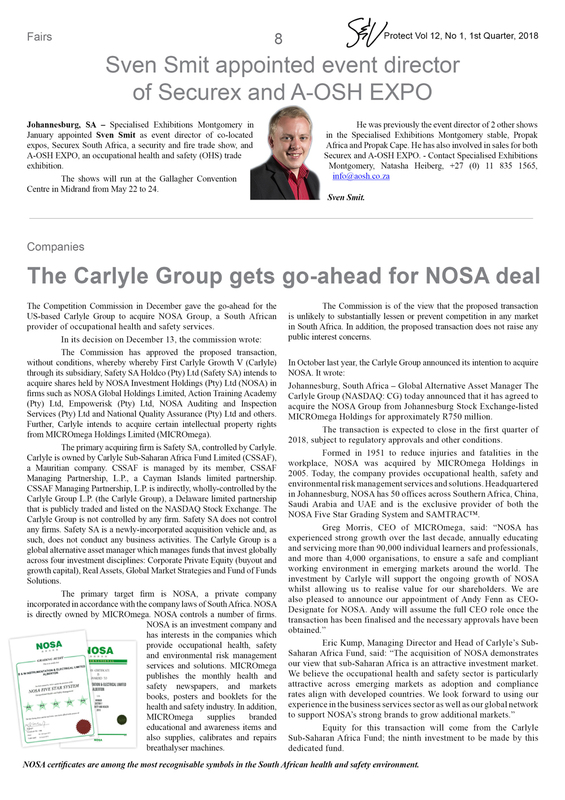 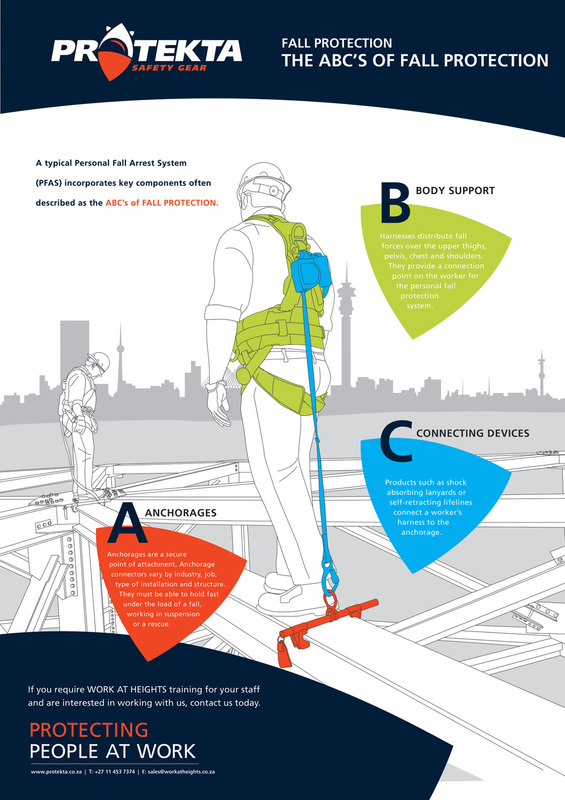 - Iconic SA safety brand NOSA to be acquired by multinational. 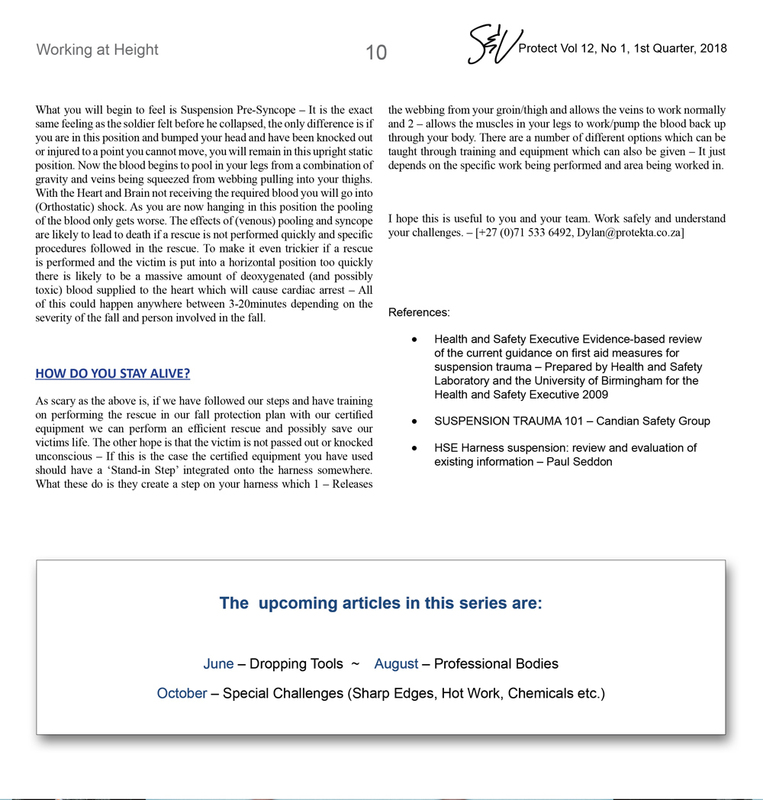 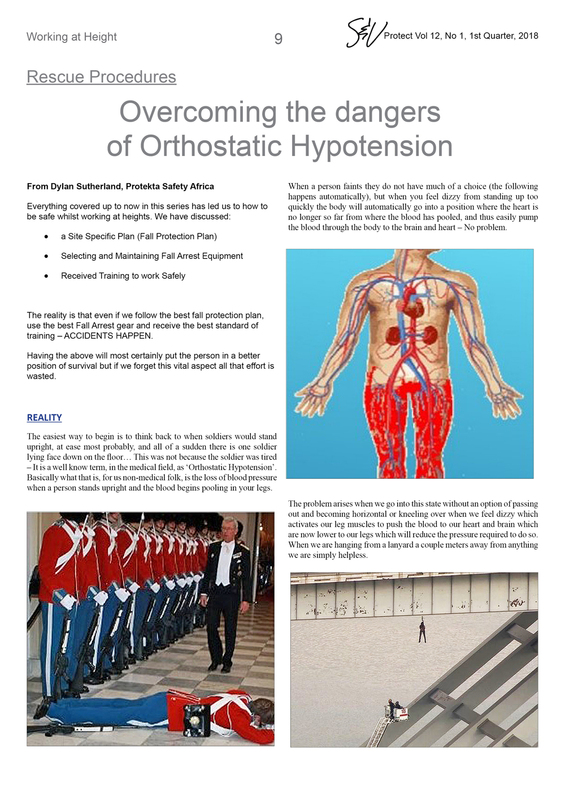 - Dylan Sutherland of Protekta Safety Gear writes on overcoming the dangers of Orthostatic Hypotension. 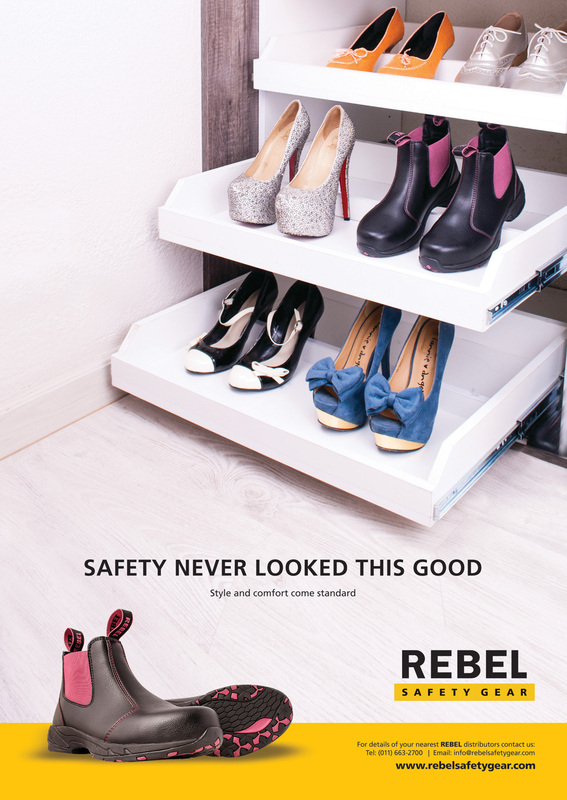 - NRCS has now issued approval numbers for 107 styles. 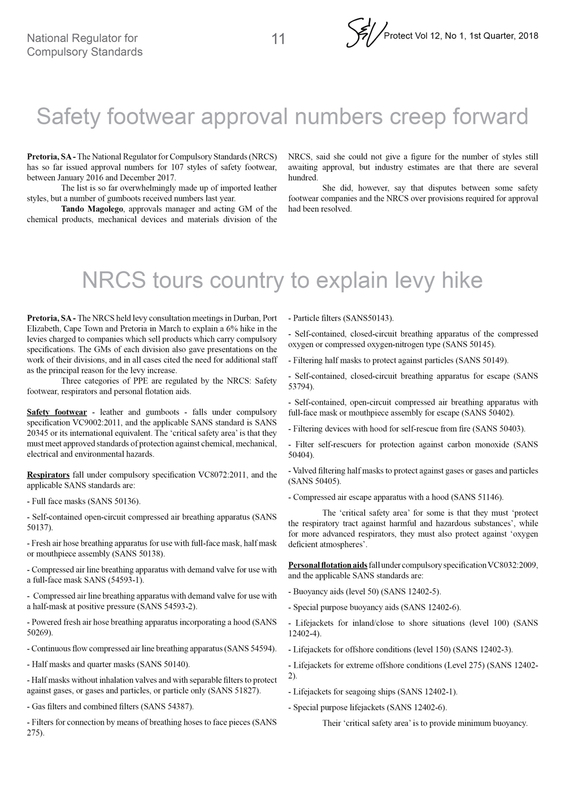 - NRCS tours country to explain levy hike. 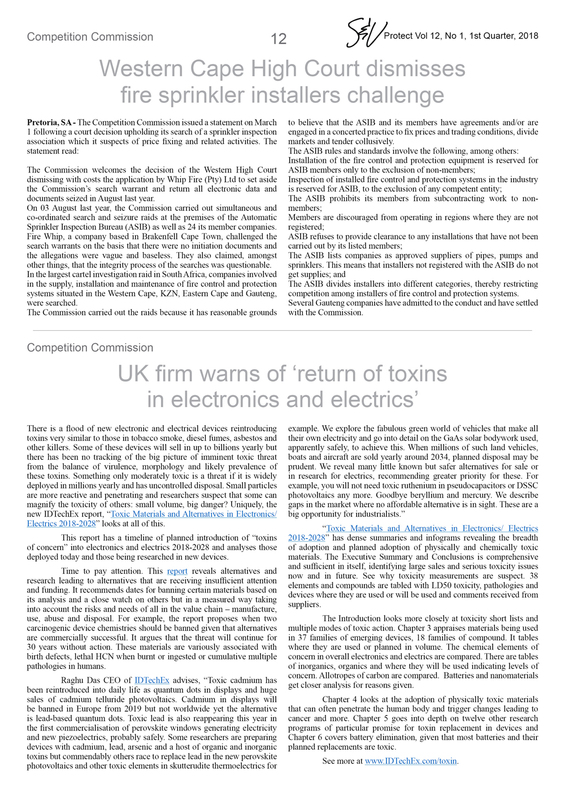 - Western Cape High Court backs commission over seized electronic data and documents in fire sprinkler investigation. 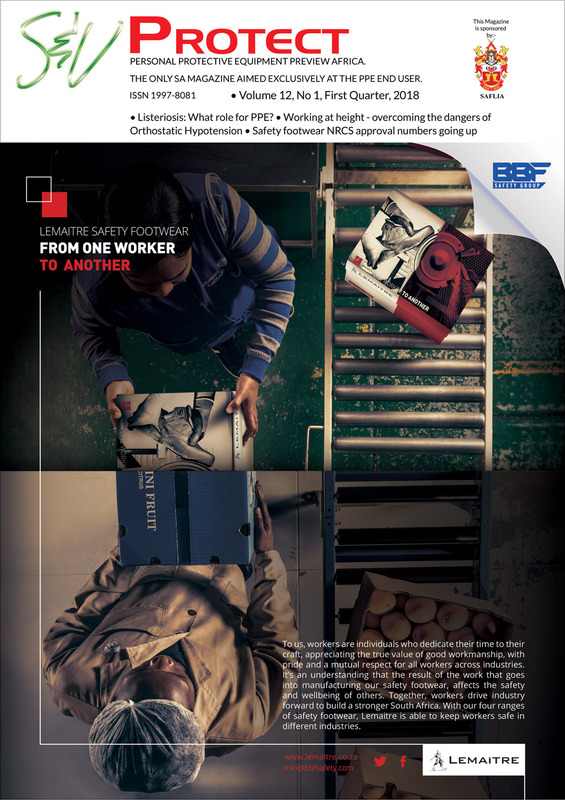 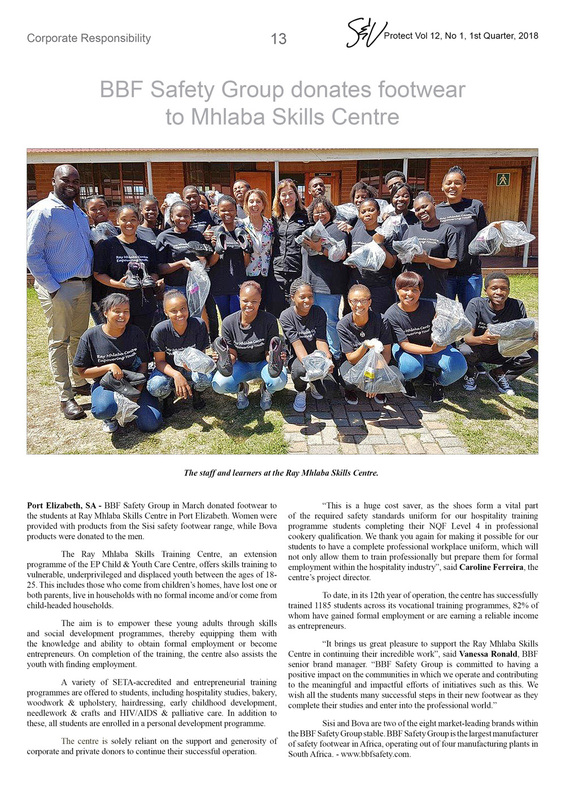 - BBF donates footwear to Port Elizabeth skills centre. 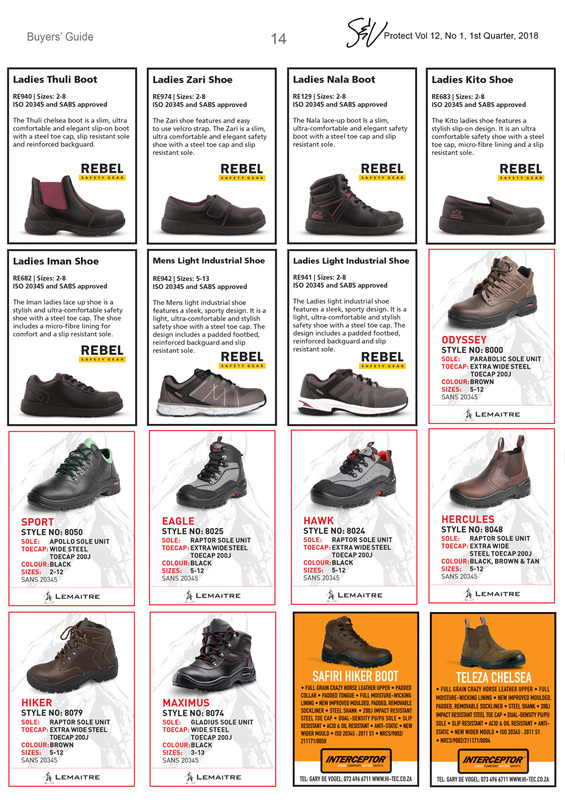 BBF Lemaitre (OFC), Hi-Tec / Interceptor (10), Protekta SA (2), Rebel SafetyGear / Sheba ladies' range (6).